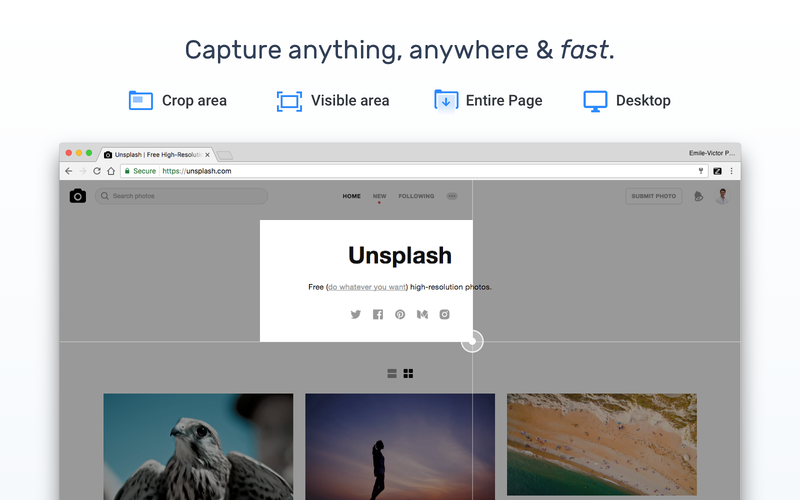 Marker is a Chrome extension that lets you take screenshots, add annotations (emojis-included!) and send them directly to Slack. 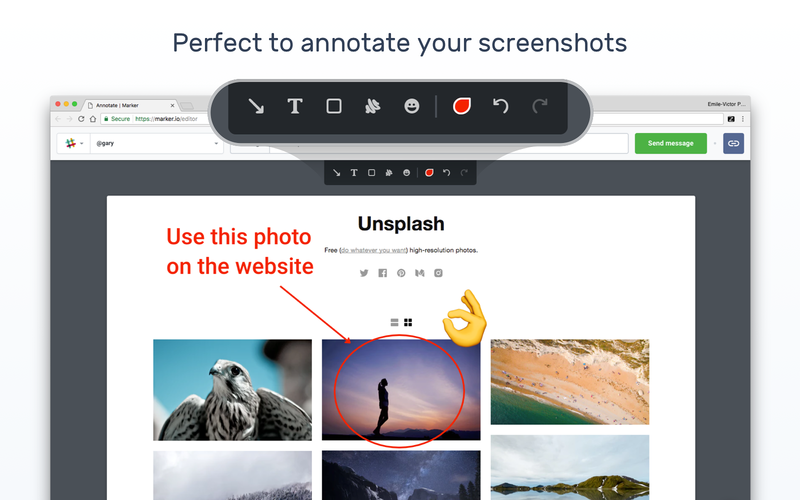 When you do so, all members of the selected channel will see your annotated screenshot with a direct link back to the page where the screenshot was taken. Marker.io will be able to access basic information about your public channels (including names, topics, purposes, creation date, and latest message). Marker.io will be able to access basic information about your direct messages (including names, topics, purposes, and creation date). Marker.io will be able to access basic information about your private channels (including names, topics, purposes, creation date, and latest message). 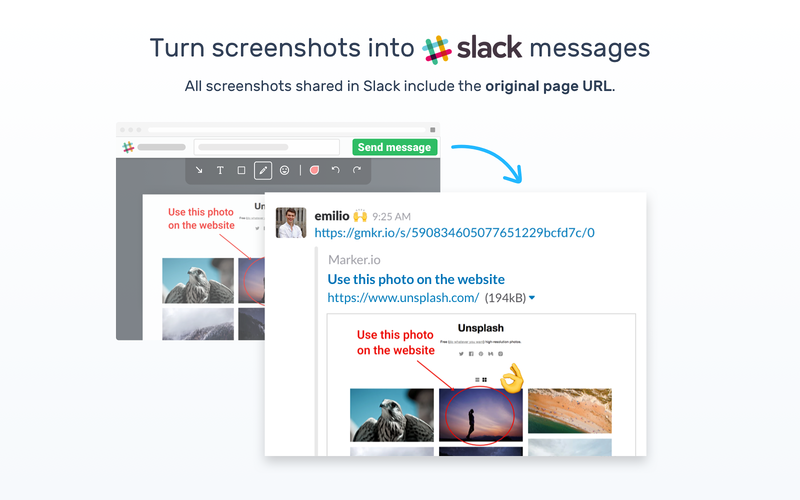 Marker.io will be able to view the email addresses of your Slack workspace’s members. 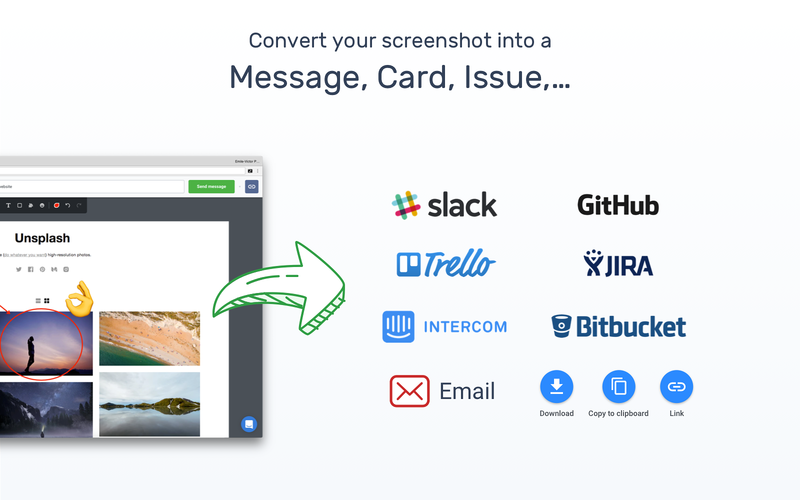 Marker.io will be able to send messages on your behalf to your workspace. 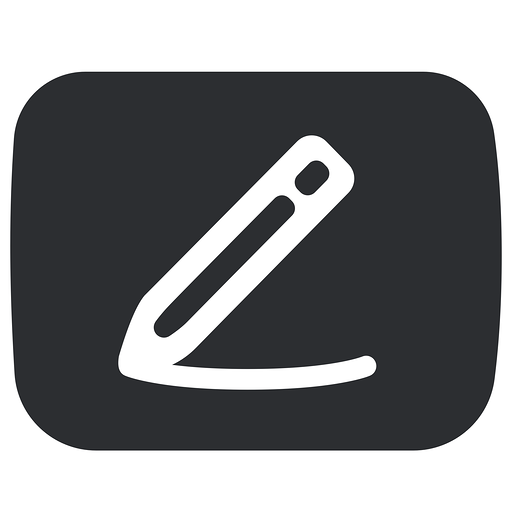 Marker.io will be able to access profile information for all users on your workspace, including names and contact information.